Since you read this site, you likely have a good handle on your investment portfolio. If you’re like me, you spend a lot of time each month adding numbers to your FI Spreadsheet, analyzing your asset allocation in Personal Capital, and charting your progress to financial independence in the FI Laboratory. What if I told you there’s another portfolio you should also be managing? Sounds great, right? It definitely is. The portfolio I’m talking about is your travel miles/points portfolio. You may be a bit skeptical of the value of travel hacking but I can tell you that even though I’m quite conservative compared to most travel hackers, I’ve still accumulated millions of miles/points and saved tens of thousands of dollars with minimal effort! I actually have over $18,000 worth of miles/points still sitting in my accounts that I can use for future travel. In addition to the monetary value of points/miles, there are also fringe benefits that are worth exploring. Having a stockpile of miles and points increases your options, which allows you to potentially save a lot of money. What do you do if you need a flight on a certain date but prices are extortionate? If you don’t have any frequent flyer miles, you probably just have to bite the bullet and pay the high prices. If instead you have hundreds of thousands of miles in various airline programs, you have many more options and will likely find a way to get where you need to go without spending a fortune. There are also many minor perks that travel hacking provides that help make traveling easier and more enjoyable. I have obtained status with many programs through the credit cards I’ve applied for over the years so I often get upgraded to better hotel rooms, get to board the plane early, etc. so my travel days end up being much more relaxed. Miles and points also allow you to do exciting things you’d never actually pay money to do but are enjoyable nonetheless. 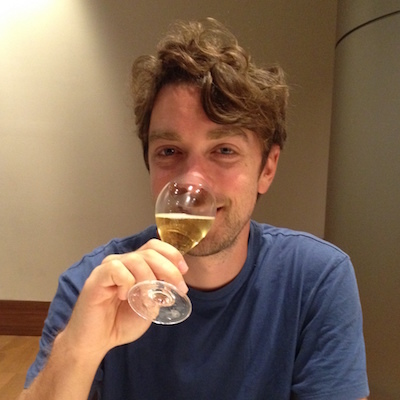 The picture at the top of this post is a picture of me drinking ~$200/bottle Krug champagne at 5:10am in Doha, Qatar (all thanks to an American Airlines award redemption). Would I ever pay that much for a drink? No way! Was it ridiculously delicious and am I glad I had the chance to try it for free? Absolutely! The benefits of putting just a small amount of effort into this hobby are plentiful so let’s talk about the best way to grow your “other” portfolio. The single best way to get points and miles as cheaply and quickly as possible is to sign up for credit card offers. Since most Americans are idiots with money, credit card companies offer incredibly generous signup bonuses because they think you’ll rack up a big balance and will spend many years paying them a lot of interest. You obviously won’t do that though and will instead pay off your balances in full every month but that doesn’t mean you shouldn’t take advantage of the amazing offers that are available. So how do you find the best signup bonuses? I actually wrote a web application back in 2011 that helps you do just that so after dusting off the old code and making some significant improvements, I’m excited to introduce Mad Travel Cards! This application is a custom credit card search tool I created specifically for travel hackers that allows you to find the very best signup-bonus offers for the programs you want to focus on*. Since the mile/point landscape is quite confusing and it’s hard to keep track of which points convert into which programs (and at what transfer ratios), it’s hard to determine the best cards to get. This tool solves that problem. So now that you have a way to easily find the best cards, it’s time to decide which programs to focus on. There are a few things to consider when deciding which points/miles to get. If you have a specific trip coming up you want to use miles for, it makes sense to research the best points to get where you want to go. If you’re planning to travel to Europe, for example, you should Google, “Best miles to get from USA to Europe”. Take a look at which miles the various travel bloggers recommend for your trip and if you see any posts from the travel blog, Travel Is Free, click those articles first because he’s the best when it comes to maximizing the value of miles/points. 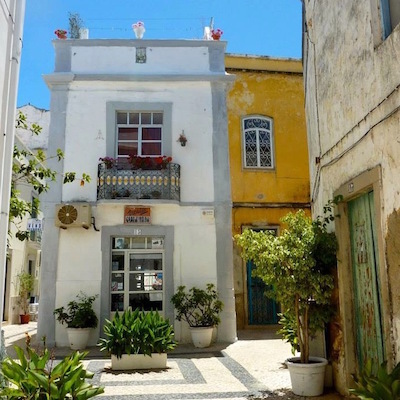 If you don’t have a specific trip coming up, I’d recommend accumulating flexible points. Flexible points can be transfered to multiple airline and hotel programs so they give you more options and they also reduce the risk that a devaluation will decimate the value of your miles/points before you use them. You can easily find the best flexible points cards with my credit-card search tool by clicking the buttons in the Flexible Points section at the top of the page. Most cards make you spend a certain amount within the first x months to get the signup bonus so you need to make sure you’ll be able to hit that amount without spending more than you normally would. It doesn’t make sense to buy things you don’t need just so you can get free miles so make sure you can meet the spend requirement with ordinary spending. I usually prepay my bills when I have a big spend requirement I’m trying to hit so that way, I’m just front-loading my expenses rather than increasing them. Another thing to keep in mind is your relationship with the various banks. You don’t want to apply for and cancel a bunch of cards every year because the banks will stop approving you for new cards. The card companies are starting to crack down on excessive applications so now it’s more important than ever to have an intelligent strategy going in so you don’t anger the banks and miss out on the best deals. This is one of the main reasons you should build up your balances gradually over time, rather than try to frantically get a lot of points right before you go travelling. As I mentioned before, my approach is quite conservative but after doing it for nearly a decade, I’ve accumulated millions of miles/points, I still have an 800+ credit score, and I maintain great relationships with all the big issuers. Since I now have an incredible new email service provider that allows me to easily create different segments and email sequences, I’ve created a new email series for anyone who would like to implement my approach for accumulating miles and points. This email series will help you accumulate miles and points in the most efficient manner possible, just as I’ve attempted to do over the years. If you want to sign up to the Mad Fientist email list and Travel Card series, just enter your details below and you’ll instantly get an email containing the card I recommend you get first and why. After receiving the first email, you’ll then get another email in roughly 6 months with the second card I’d recommend (and the reasons for that choice), then another ~6 months after that, and so on. If any exceptional signup bonuses come out in the meantime, I’ll also send you a message to let you know so that you can take advantage of the best limited-time offers when they come along. Miles and points have allowed me to travel to 50 countries while pursuing financial independence and will help me travel to even more now that I’ve stopped working. Hopefully this post has motivated you to start building your own travel miles/points portfolio so you too will have hundreds of thousands of points ready to use for exciting trips when you eventually leave your job! *Full disclosure: I could receive a commission if you use some of the credit card links on the Mad Travel Cards page and in this post. However, I will post the highest signup bonuses, regardless of whether I earn a commission or not, so you can be sure you’re clicking on the best offers available. 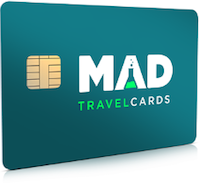 If you have any feedback on the Mad Travel Cards tool, please let me know in the comments below! By combining travel-hacking techniques and a slow-travel mentality, it's possible to achieve early financial independence while traveling the world. Seems like an awesome tool and will help me since I never know what card to get next. Thanks for sharing. Thanks for taking the time to create The Mad Travel Cards tool, totally awesome. This is the nicest way we’ve ever seen this information compiled and we look forward to seeing the “highest-offer-ever” signup bonuses in our e-mail. We’re currently traveling the world and many of our expenses have been reduced or eliminated due to travel hacking. Now we just need to figure out a way to conveniently have new cards delivered to us no matter what country we’re in. Wow, I’m jealous! It will be like Christmas morning. Since you’ve had cards sent to your mom’s over “the last few months,” are you able to delay the spend requirements until activation? Wow, this looks like a great tool to use and I am definitely signing up to the email program. This is very timely as I have done a bit of travel hacking on my own, and my current card that I used to get a bunch of points is coming up for the annual fee so I want to cancel before that happens. I plan on canceling and starting another one at that time to get some more points stored up. This is perfect, I look forward to using the tool and receiving the emails! Madfientist! We need a UK version of this! Don’t know whether it is worth doing a UK version of MAD Travel Cards though, the Travel card industry isn’t as well developed as the US i think. My brother-in-law (who lives in Scotland) said the exact same thing to me yesterday! Sadly, I don’t know much about the UK card scene, other than that the signup bonuses are nowhere near as high as they are in the States. Some of the low budget airlines used to offer one free flight if you signed up to their credit card i.e. Flybe. Not sure if this is still the case. The most useful card that I have found for travelling is the Halifax Clarity card as it doesn’t charge a fee when you use it abroad. It also offers the best currency exchange rates that I have seen. I’m just back from Australia and it was a life saver as it is so expensive there that I would have needed a suitcase full of cash otherwise. Very cool. I’ll definitely be checking this out as I feel somewhat amateurish when it comes to credit card sign up strategies. I mean I’ve got the six figure points balances at most of the major players and I get a new card every few months, but it’s kind of a shotgun approach without a lot of strategy or forethought. Good job, I hope you convert all the investors to this game with great returns. Personally I go for economy class redemptions so I can go more places rather than fly in luxury. I’m exactly the same. I’ve only flown in business class once and that was the epic trip I wrote about here. The reason we upgraded to business class on that trip was because it was only 7.5k more AA miles each and we had so many flights and stopovers, it was definitely worth it for all the food and booze we consumed over that week! Thanks for making this! I’m really looking forward to using it. Thank you for this awesome tool and for the post and email! I’ve been wanting to figure out how to travel hack my way to Paris for a while now. It looks like it’ll be a pretty cheap trip once I get this whole thing figured out. :) You (and your blog) rock! Awesome platform for travel hacking, I especially love the value category that displays the highest rewards you could possibly get. Can’t wait to use it! I just started travel hacking recently. First card was the obligatory Chase Sapphire Preferred, as recommended by Brad. I’m close to the minimum spend, so I can’t wait to hear the next recommendation. Unfortunately my current job provides no vacation time, but I travel plenty for work. This has allowed me to rack up 1/4MM Hilton Honors points without spending a dime! Looking forward to adding more points to my travel wallet! I started this game in January 2016. In four months I have accumulated over 800,000 miles/points and a Southwest Companion Pass. I should have started years ago ……. I have left bundles on money on the table. Better late than never. As an “early retiree”…. this is manna from heaven. Thank you for this. I read the points guy from time to time but honestly don’t dedicate enough time to really maximize his recommendations. I quarterly email is just what I need. Thank you, looking forward to your suggestions. Very useful. I’m just getting into this for the first time, hoping to get 100k United miles! Any plans for implementing a similar filter approach for cash back cards? We hardly ever travel. Probably not, Charlie (sorry). The miles/points game is pretty complicated so there is a lot of room for optimization and that’s what’s appealing to me. Since I just make these tools for fun, I can’t imagine moving into the cash-back arena because I just wouldn’t find it very interesting or exciting (that’s not to say cash-back cards are bad…I just don’t want to have to think about them all the time, haha). I’ve accumulated ~7k worth in travel points over the last ~15 months and while it is easy to earn the points, it is EXTREMELY difficult (in comparison) to keep track of and to manage the points. This tool will go a long way so thank you! If you’re not using it already, start tracking your miles and points in AwardWallet! It’s sort of like Mint/Personal Capital for your miles and points accounts. It shouldn’t be hard to find a referral link around the internet that will let you try the premium version free for 6-months. The basic version is probably enough for your average points collector though. Yeah, I second Noah’s suggestion and recommend just getting a free Award Wallet account to help you keep track of everything. The tool looks great, by the way! Looking forward to using it. Looks like a cool tool. Unfortunately there is a lot of nuance in the credit card rewards game so the tool might not provide people with the best offer. For example, you link to the Hyatt Visa Signature card for 2 free nights isn’t the best available offer. If someone starts the booking process by searching for a hotel, then an offer comes up that is very similar but includes a $50 statement credit. I know you can’t get a referral link for it so you may not want to point readers to that offer but I thought it was worth pointing out. Yeah, I wasn’t exactly sure how to handle things like that. At first, I thought I would list out the more-complicated ways to get other offers on the tooltip you see when you hover over the credit card icon but then I didn’t know how useful that would be and I worried it would be confusing if the tooltip said something different than what was displayed in the table. I decided to just stick to the best offer I could actually link to because I figured a lot of people wouldn’t want to go to the trouble of getting the harder-to-get offers. I want to keep the tool as simple and easy-to-use as possible but I agree it can’t handle all the nuances of the miles/points game. If you have any suggestions how to handle these edge cases, definitely let me know! The new tool is definitely a great at a glance tool for seeing what cards are available at any given time. It will be tough to keep up to date with the latest and greatest offers, especially the more hidden public links. Clicking around a little bit reveals you’re missing the best Alaska, Hyatt, and Ink+ offers for example. The other thing I noticed which should be an easier fix is the SPG card conversion rates to airline miles. You forgot to include the extra 5k for each 20k transferred. The 25k SPG signup bonus should equal 30k miles for most transfer partners. Another feature you might consider is adding in the amount earned from the spend requirement towards the specific program count. For example, getting the CSP with a 50k signup bonus for $4k spend means you’ll end up with at least 54,000 miles to transfer to United (or elsewhere). This gets tricky with category bonuses, but should be easy to calculate if you assume no bonused spend as a conservative estimate. Noah, see my reply to Matt above regarding the other Ink+, Hyatt, etc. offers. As far as the SPG card, I struggled to decide whether to put 25k or 30k but I eventually settled on 25k and I added a message in the tooltip that says “Transfer 20,000 points into miles and get 5,000 free bonus miles”. I figured that’d be clearer than simply putting 30k in the results without any explanation. If you have any suggestions on how to deal with the not-as-simple-as-clicking-a-link-and-appying offers, please let me know! For the special offers, a small warning button (orange exclamation point in a triangle looking thing is what I’m picturing) between the card’s name and the GO button might work. Hover would have a tooltip saying there may be a better “secret” offer for this card, and a description or link would tell them how to make it work. As you said, this would be rather confusing for the average person, especially for certain trial and error private browsing window shenanigans to get the best Amex cc offers. Maybe just add a tooltip in the card description that specifies “A better offer may be available for this card” and let the people looking to maximize do the research themselves. There’s so many little nuances, you’d have to send users down a deep rabbit-hole in order to fully optimize their points and miles earning. Not to mention all the complexities with getting the most value on the redemption side (probably more complicated than the earning part). Keeping it simple is probably best. I look forward to talking about travel hacking strategies when we meet at Camp Mustache later this month. Thanks a lot for that direct Alaska link! I think your idea of adding something to the tooltip would work. Nice! Which card did you decide to go for? Travel hacking has definitely gone more mainstream with TPG becoming so popular. I certainly try my share of building up status and points, but I’ve found that my main limitation is having the flexibility in my work to capitalize on some of the redemptions. It’s tough when you haven’t reached FIRE! I’m interested in this part – as you accumulate the points, how do you manage all of them and the expiration dates to make sure you are keeping them all active? You can build up the portfolio but it has a expiration date…. i used awardwallet a long time ago and a lot of the airlines were pulling out of it so i abandoned it – maybe they resolved some of those issues so AW could be used as the tool for management now. This is the first time I have heard of this. So what do you do with all the credit cards? Doesn’t that mess up your credit report? Credit score is made up of a few components, the largest impact coming from the utilization %. If we open a new card, our utilization % will go down and this will look good on our credit score. The number of accounts is also a factor and credit companies want to see at least ~18 accounts to begin to qualify as ‘excellent’. You’re right that credit cards will negatively impact your score, but this is a short term dink because of the credit checks they run. I have found the dink lasts for maybe up to one cycle and then the other factors (more accounts, lower utilization %, consistent on time payments, etc.) begin to repair and eventually increase the overall score. I love the site but does it work with google chrome? I’ve only been able to get the functions to work with explorer. Maybe there is something wrong with my computer? Thanks for the input! This is terrific – thanks so much! With FI approaching very soon (is Friday the 13th a bad day for that?!) there will be much more time for travel and getting organized. This tool will be an excellent resource. Just earned the SW Companion pass last week – so now I’m off to give this a try! Congratulations on your Companion Pass and your impending FI! This is an awesome tool! Super easy to follow. It’s all the information I have rattling around in my head, but ORGANIZED. Now instead of confusing people when they ask for card comparisons and travel hacking advice, I can just point them here. I attempted travel hacking several times in the past (because of the lucrative returns) but find it too complex/confusing because of all the options and I think I don’t have the knack for it! PS: I am long time reader of your blog though I think this is my first comment on your blog! Thanks for all the wonderful posts! Your timing couldn’t be better! I’ve been trying to get into travel hacking, so I got a travel cc to dip my toe in and try it out, but I want to make sure I’m doing it responsibly and with the best deals for me. I’m so excited! I signed up for your email list and I’ll have to check out the software when I can. What a neat tool! Will definitely revisit this in the future. This past month, I’ve been trying to reduce the number of open credit cards I have as I prep my credit to apply for a future mortgage. My United Airlines (Chase) and Hilton (citibank) cards were not willing to refund or waive the annual fee after the first year free, but Chase did refund my fee when I closed my account and Citi gave me a bonus promotion to earn more points if I kept my card open… I was told by the rep that I have 37 days after the annual fee is applied to consider canceling the card and having the annual fee completely refunded. Very useful info! Thanks Brandon! Man, this is a much needed tool in this crazy subculture. My head has spun trying to figure out travel hacking. I’m thrilled to sign up for your email newsletter. And I look forward to utilizing this app! Ever think about creating an online application for Travel Hackers to track and manage the credit cards they’ve signed up for (i.e. bonus point categories, min spend requirements, spend-by dates, consider-cancelling dates, etc)? Between my wife and I, we have about 20 cards open right now, and currently track them in a spreadsheet, but a web app would be nice, especially if it could email reminders on pertinent dates, etc. I’ve not found a web application out there already that does this. Award Wallet is nice for storing point balances, but does not help at all with credit cards. Mint is nice for recording your purchases, but does nothing for the travel hacking side of things. Mark – I am newer to travel hacking and was curious why you would leave cards open versus close them. I was under the impression that once you have hit the sign up bonuses and used the points, you would want to close the card quickly so you can get back in line to get another sign up bonus after waiting the required period to be eligible again e.g. 18 months. Thanks for any insight. I usually leave them open until the annual fee is due, which is usually not for 11-12 months after opening. In that period of time, you can amass quite a few cards, especially between two people. We’ve been opening an average of 2-3 cards per person every 90 days. We also have some cards that we leave open (either they are no annual fee or we like the benefits so we choose to pay the annual fee). I’ve done some moderate travel hacking on my own but I’m looking forward to seeing if your tools/research can help me keep that points portfolio on autopilot (relatively). I’ve been needing the sapphire card so just signed up with your link yesterday. Thank you for your work. Your FI research certainly has changed my investment strategy over the last couple of years. I travel for work and I’m using the United Mileage Plus Explorer Card issued by Chase. So, if I decided to get a different card (looking at the Ink Plus also by Chase) my inclination would be to cancel and cut up the old card. Since they’re both Chase, do they keep track of you canceling one to chase the points on another? What are your intentions after the first year of the Amex Platinum? I’m trying to figure if the perks are worth the fee or should I have it downgraded. I’ve actually been able to take advantage of a 100000 point bonus twice,but heard they are now making it one offer a lifetime. Virtually every card is NOT worth the $ annual fee the 2nd year. Exceptions are the cards like IHG that give you a free ANYWHERE Hotel Night each year, and Chase Ink/Sapphire – which you NEED to have in order to transfer points to other airlines. Otherwise, you’re always better off opening a new card INSTEAD of paying the annual fee to keep an old one. I tried my hand at travel hacking in 2014 doing two rounds of three cards each, mixing different banks and spend requirements. I felt it maybe made me spend more than I wanted to as I bought things I wanted but didn’t need to meet the spend requirements, but I ended up with tons of points. Used miles for three trips, and a hotel card for part of another. Still have about 4 domestic RT worth of points if I can earn about another 2000 on a couple different airlines. My question is what to do once you downgrade or cancel the cards. At some point, don’t you run out of cards/point gaining opportunities? How is it possible to get to 800k miles? Are you guys applying for the same card twice after candling it for a while, or are there that many cards out there that makes it possible, or…? I gave up partly from the hassle of tracking everything, but you have to love the $12 RTs…might try my hand at it again with the introduction of this tool…thanks for putting it together. From what I’ve seen, many people double up on the cards if they have a spouse or significant other. Sometimes the cards also offer additional points or miles for authorized users, so some people also put their kids or spouses on that as well. But yes, I’ve signed up for cards intermittently throughout the years, and I’ve slowed down simply because there aren’t too many worthwhile cards that I haven’t already signed up for and there are still spend requirements. Many people who post about this subject online also have businesses that qualify for credit cards. That adds additional options for them. just a quick suggestion? Sort or filter by issuer would be hugely helpful for those of us who’ve been at this a while and need to spread out by issuer a bit. What a very interesting and helpful idea for a software package. I will have to check this out! Ever since your podcast about travel hacking, the eagerness to learn more about travel hacking and start accumulating points has been growing inside me. Thanks for trying to make this more efficient for all of us! – 20,000 bonus points if you make at least $1,000 in purchases in the first 90 days of your account opening – which can be redeemed for a $200 statement credit toward travel purchases. – 2.65% statement credit toward travel purchases for Platinum Honors Preferred Rewards bonus. It would be great to get your evaluation on this program. I found your tool through reddit a while back after you published it before I received your email on it. It’s a pretty cool tool and should be helpful for everyone. I’ve been learning about travel hacking and have planned a trip for next year (hopefully) to go to Maldives. Just wondering if there are any rules to follow regarding potential expiration of points with the various airlines and credit card companies? I have taken advantage of a number of these bonus offers in the past but have often redeemed for cash/gift cards for fear of points disappearing once I stop using or cancel the card and I didn’t have any immediate travel needs. – For cards where the 1st year annual fee is *not* waived, could you subtract the cost of the fee from the Value column? Oh, and I think the IHG Rewards Club Select Card is actually a MasterCard, instead of a Visa. I noticed that when checking both the “No First Year Fee” and “No Annual Fee” boxes, it only shows cards with No Annual Fee. 1) Does the value column account for the annual fee, if not waived in first year? 2) You mention using thepointsguy for valuation. Are you doing that via a static table or api? Travel hacking is definitely something to look into, IF you actually like travelling. Plenty of people hate travel and avoid it unless it is required for their jobs. great tool! Any future plans to have a Canadian version? This is really a great tool. With so many cards out in the market and the never ending confusion on which one is best for you, this is something that can come in handy. Thanks for sharing this. Hmmm. I need to look into travel perks… I just use a cash back amex, but the wife and I are overdue to visit family. Thanks for the recommendations! Tool is excellent because it is simple. 2 questions, 1) Is the value of the points listed on the tool the net value after the annual fee is considered or is it just a gross number and the fee is mutually exclusive of the point value? 2)Just started travel hacking in the last year and have accumulated 120k+ from 2 chase cards. Is there any reason that I should NOT close out the cards after I have transferred the points to an airline program and used them for travel. I want to be eligible to reapply sooner e.g. 18 months for the card again to obtain another award bonus. I understand that Amex only offers a 1 lifetime bonus but in general for the other cards is there a downside to closing them out once they have served the purpose of obtaining the sign up spending bonus? Thanks as I have really enjoyed the blog content the last year I have been reading. Such an incredible tool to add to my travel hacking toolbox! Thank you so much for this and making it even easier to evaluate credit card bonuses. Given the recommendation of keeping open one card from each issuer, is there a point at which the number of cards you have hurts your credit score? And is it harmful to have several no-fee, downgraded cards (e.g. barclay arrival, amex everyday, etc.) if you’ll never use them? I am going to have to use that tool to find my next card. Using the points can be a bit frustrating but I started to find it requires the same patience as with finding any good deal. We are about to head to CO from NYC with two free tickets I got for just one sign up bonus. I started collecting after reading you other travel hacking post a while back. This looks like a really awesome tool. I’m a big-time points junkie, so this will work great for me. Thanks for creating it. Do you think it would make sense to lay off of credit cards for a few years in order to be able to get the Chase Sapphire again, as well as to get the Chase Sapphire Reserve? It’s annoying that they have the 5/24 rule where you can only have 5 credit cards per 2 years…. A button to remove business cards would be good for those of us that don’t have a business with large enough spending to justify getting those cards. Just read your articles on travel hacking and am very interested in it. I’m Canadian and it seems that it always costs us more in $ and points to travel. Do you have any helping tools for Canadians? After getting a new credit card every 6 months, a person can have a lot of credit cards after a while! Does one get rid of the older ones? I’ve been a short-time reader and lurker and podcast listener as my wife and I just recently started our FI journey in March this year after an epiphany while reading MMM. This is going to be an essential part of our journey as we love to travel (already been to Australia, many Caribbean Islands, Italy) both by ourselves and with our two kiddos and will want to continue that once we hit our FI mark in what we’re projecting by the time we’re 40 (9 years). I’m sure I’ll be revisiting this post often along with all of your other great content. Do you have a recommended way of keeping track of all of the requirements and such. I have an award wallet account for the miles portion since I travel quite a bit for work, but curious on the spend/bonus requirement tracking as you mentioned earlier in this article. Thanks for all that you do for us lurkers in the shadows! A thought occurred to me… You live in Scotland but still travel hack using US credit cards I presume? How does that work? Is is simply because you still have all your bank accounts based in the US so it is easy enough to open a credit card account? What are the requirements to be able to open a US credit card account, can you still open new accounts even without a US address… Or do you still have a home address back in the US? I’m just thinking about this from the opposite side of the pond’s view… I am thinking if there is any way that a UK based person can open a US credit card account somehow… what are the minimum requirements for this do you think? I was about to comment the same, with the addition that given Brandon is living this side of the pond now he could add whatever he learned to the CC tool he built. But I agree, the benefits of UK cards are really bad in comparison. Thanks for this great post. I wanted to clarify one thing. Why do you “keep at least on card with each issuer at all times?” Is that to ensure it is easier to get approved for future applications? If that is the case, have you heard that helps? I haven’t had a problem just canceling outright and then reapplying with an issuer as needed…. I have a slightly different approach than you. I sign up for bonuses three to four times per year, but put all other expenses on a 2 percent cash back card. All other things being equal, I prefer to just pay cash for flights as it is way simpler to plan (gotta love Google Flights!). But a guy’s gotta lock in those crazy sign on bonuses! Does this also work in Europa? The Netherlands? Considering you’re well covered for travel points, any chance you have time to visit the Netherlands on June 30th? We will be having a beer with a few FIRE minded people in Utrecht, would love to have you there too! I’ve recently become very interested in FI, and I’m doing my best to work my way there. Travel hacking is something that interests me a lot, but I live in Canada, where there are fewer airlines and credit card companies. I was wondering if you know of any good Canadian travel hacking websites or guides. Or, if not, whether you know if Canadians can apply for American credit cards? I have a great credit history and I’d love to take advantage of travel hacking, but I’m not sure if Canadians have the same great options you guys do down south in this case. Right on, Brandon! I have a slightly different approach to accumulation but we have less opportunity to travel. My partner and I did a frenzy of cards – 1 a month each for about 6-8 months to build up our balances (this was just an experiment) and once we got to about $12,000 in travel value, we haven’t gotten any new cards and are spending down our points whilst still accumulating on the one card we each use. Once we get down to $3000ish in point value, we will use your tool to build up our points value again. I have no idea what my credit score is – probably around 800 – but I don’t really care since I don’t anticipate ever having to borrow money for anything again. So if the score drops temporarily during the accumulation phase since there is excessive credit activity, it doesn’t really matter to me. I’m thinking that my approach may keep us from getting too many Chase cards and tripping the 5/24 or whatever with whatever issuer. Hmmm, an Australia version would be great. Aussie pay so much for international travel. It is often worth flying to Singapore then booking everything else from there. It seems that the strategy relies essentially on Credit card only available for US people. Would it work for foreigners? Is it possible to see a list of all the cards you will recommend in the email list? I have already been doing this for 2 years and am just looking at which cards to get going forward now. I signed up for the email service, but the card you recommended to me I already got 2 years ago. Thank you! What an awesome tool to be able to find and use. I have been travel hacking my way through travel rewards offered on Capital One Venture card for years. But it’s only recently that I’ve discovered the FI journey and all the various cards and offerings that are out there. I’ve been applying for cards somewhat randomly but never had a real way to see if that was truly the best card out there or if there were others. Your tool makes it super easy! Thank you again. Travel hacking on steroids, here I come! Our “points empire” headquarters is always Chase. We use the UR to take advantage of the 5% bonus categories, then transfer them all to the Sapphire Reserve for use. We then grab bonuses that we can use for cash back OR gift cards from Capital One, and whatever else comes our way. The Ink Bold (after grabbing the 80K bonus) didn’t make much sense for us to keep with the extra $95 annual fee, considering we already had a $450 fee with the Reserve. Thanks again. Just finished reading your guest post on Physicians on Fire.